The Chicago Bulls have just beat the Indiana Pacers 119-107, the team’s 10th win in their last 12 games. Lauri Markkanen scored a career-high 32 points and Jerian Grant finished with 12 assists and 11 points to make sure no one missed Kris Dunn. 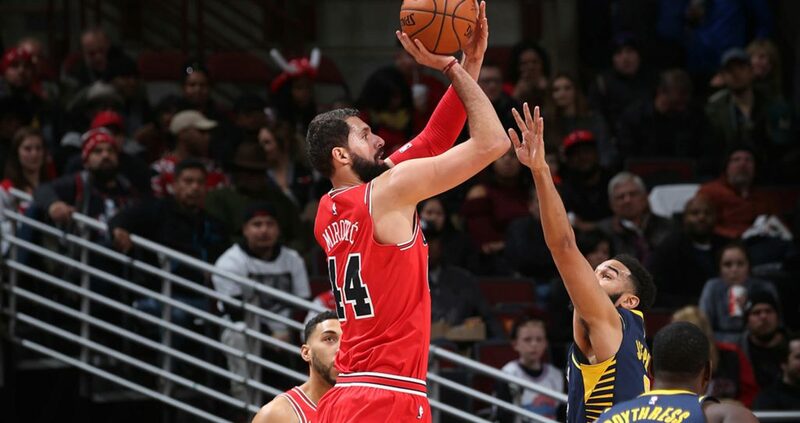 But the story is Nikola Mirotic, who this time nailed 8 three pointers as he continues his dominant stretch of performances. As most know, the fact that Mirotic is playing for the Bulls heading into 2018 is a bit of a surprise. He dragged on his new contract signing as an RFA, eventually taking a two-year, $25 million deal that has a team option on the second season. The Bulls’ confidence in the inconsistent player wasn’t high. Then Bobby Portis’ first happened, which sent Mirotic to a long stint on the injury list. Rumors suggested the Bulls might trade Portis or Mirotic, or even both. But they didn’t, as they stumbled to a 3-20 start without Mirotic. The team wasn’t supposed to be great in a rebuilding season, but things looked bad, along with some painful close losses. But Mirotic came back, better than ever it appears. The Bulls have won 10 of the 12 games he’s been involved in, including the first 8 in a row. He’s averaging 17.2 points per game and 7.6 rebounds per game, by far the best numbers of his career, while playing only 25.5 minutes a night, coming off the bench. His usage rate is up, his eFG% is a stunning 60.1. This is a changed player, who liked his role on a changed team, as Fred Hoiberg is finally out of the shadows of dominant egos and personalities than prevented him from running an offensive system that feels a lot more like what we saw from his guys during his Iowa State days. Zach LaVine is going to be back soon, and who knows, maybe this season will be about chasing a playoff spot instead of tanking for a high draft pick. The Bulls are pretty much packed with talented young players, and going on a path of waiting along for just one more pick can be tempting, but also dangerous and not very efficient. The final goal is always to be a contender, and obviously the Bulls aren’t in that place right now, but their cap situation is terrific (even if they re-sign LaVine) for the first time in years. 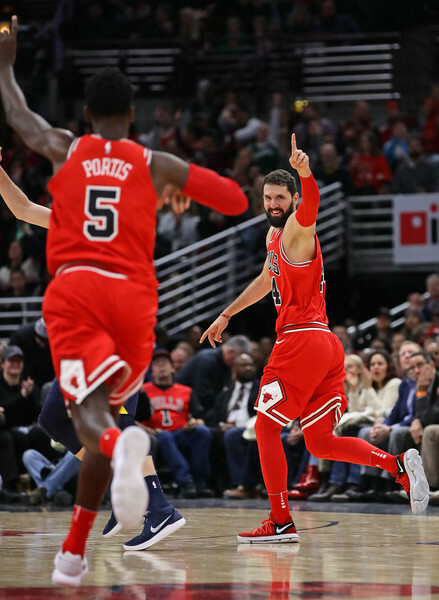 And who knows, maybe they already have what it takes to make a run for the title – it only needs a little bit more developing, and Mirotic’s play inspiring everyone can’t hurt as well.